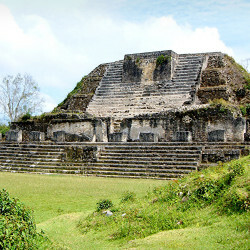 Altun Ha is a Mayan city situated close to the Caribbean coast in northern Belize. 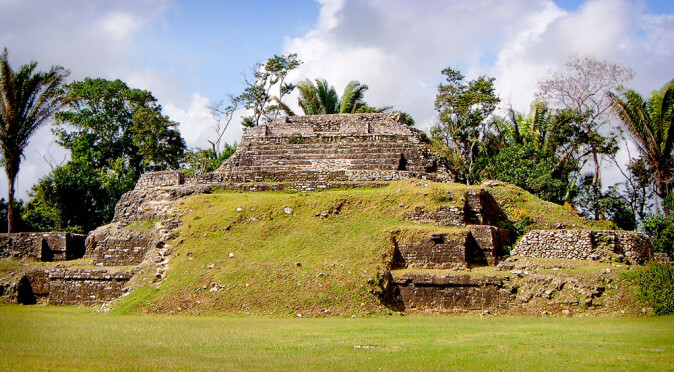 Altun Ha’s history dates back as far 900BC, but having only been discovered in the 1950s and with relatively little excavated, not much is known about the city. The archaeological site covers a fraction of the city which was spread over an area of 25 square miles and was home to approximately 10,000 people. 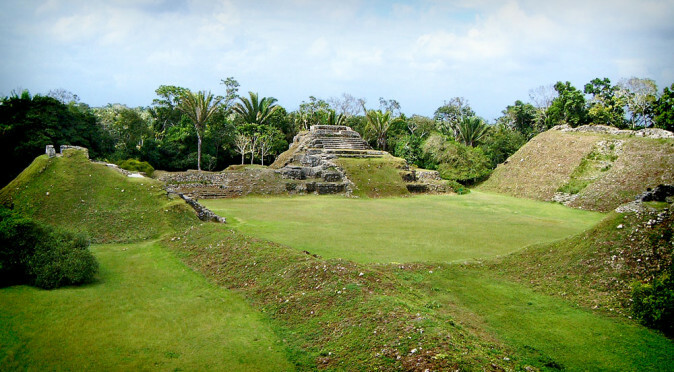 These statistics, and the buildings that can be found in the two principle areas, Plaza A and Plaza B, are sufficiently grand to mark Altun Ha as a prominent city. 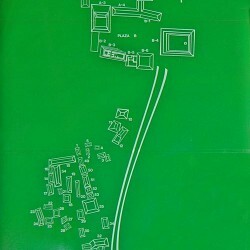 But it is the findings within the few buildings that have put Altun Ha on the historical map. 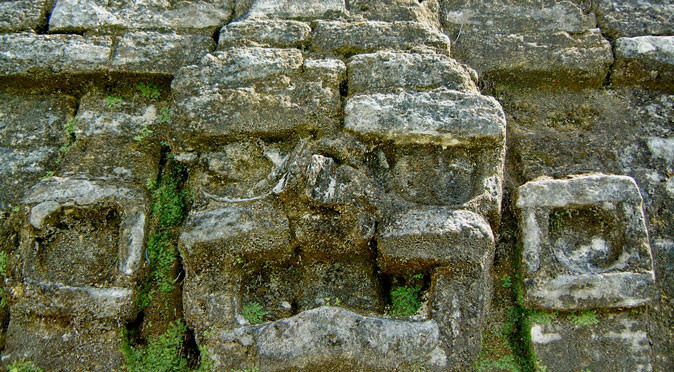 One in particular, a massive jade head, is one of the greatest treasures found at a Mayan city. 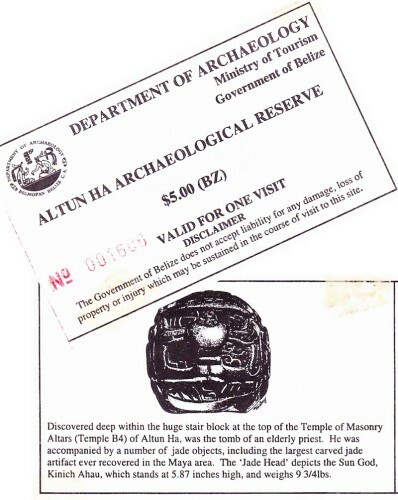 Tickets to Altun Ha in 2002Altun Ha’s early history and rise to prominence has been linked to the trading super-power Teotihuacan. A tomb found beneath Temple F8 was found packed with Pachuca obsidian that could only be sourced in the areas surrounding Teotihuacan. 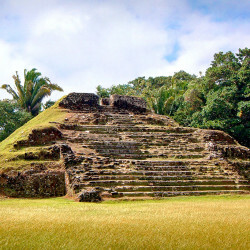 The temple is situated beside the reservoir that gives Altun Ha its name – a modern Yucatec translation of the name of a nearby village, “Rockstone Pond”. 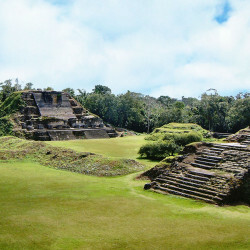 The tomb dates to 250AD and its proximity to the reservoir suggests that the two structures symbolise Altun Ha’s evolution from settlement to city under the guidance of Teotihuacan. 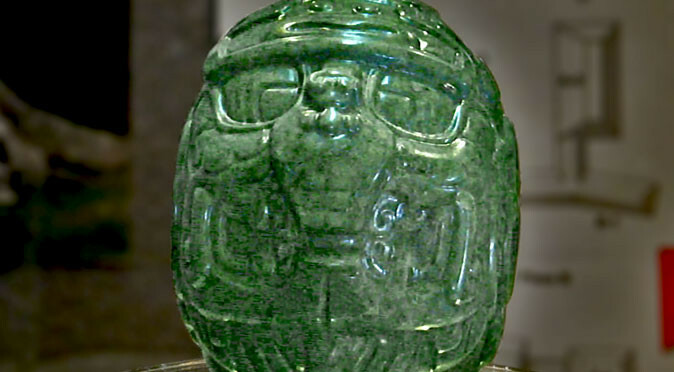 However, the greatest find at Altun Ha is that of a jade head weighing 4.5kg, with a circumference of 46cm (this is pictured on the back of the tickets). 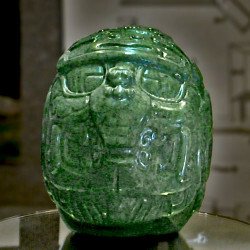 The jade head is the largest single carved peice of jade ever found in Mesoamerica. 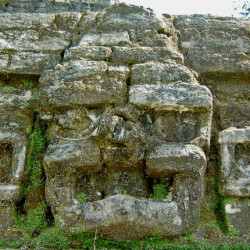 It was found buried within the Temple of the Masonry Altars (Structure B-4) and completes a definitive picture of Altun Ha as a place of wealth and exuberance. 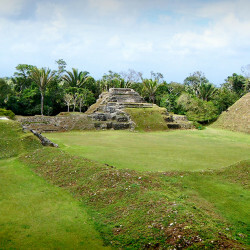 In fact, the shear numbers of jade pieces found suggest that Altun Ha quite literally had money to burn! 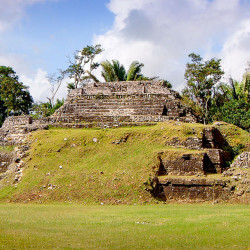 Altun Ha is very close to Belize City, but this doesn’t necessarily make it an easy place to get to. The roads are particularly bad on the last stretch from to Altun Ha along the Old Northern Highway and no public transport runs that stretch of the route. 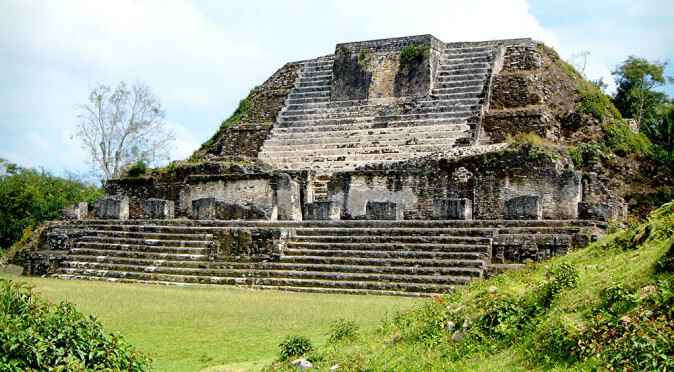 The site can be reached by an expensive taxi ride or guided tour from Belize City, or you can take a bus to the junction of the Old Northern Highway and pick up a guided tour or taxi from there. 25 sq. km or 25 sq. miles? You say both on different pages. A wonderful site, with a perfect mixture of images and words. The extent of the ruins reportedly cover an area of 25 square miles, so I have corrected the error on this page. Thank-you for highlighting this error and please do let me know if you spot any more or have any other questions that I may be able to answer. Also, thank-you for your positive comments on the style of the site. I wanted to create a site that presented the historical facts, yet also interested a broader audience and attracted people to visit these amazing ancient cities in person – or at least learn a little more about our ancient cultural heritage.